Thank You for Telling Us What You Like! Home Thank You for Telling Us What You Like! We are reviewing your submission and will send you your first offer shortly. If you haven’t already, please connect with us online and join our community of savvy home designers and window covering professionals. 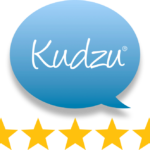 VIEW OUR CUSTOMER REVIEWS FROM AROUND THE WEB!